Excellent hotel but front desk is on second floor making access a little inconvenient . Daily charge for parking is quite annoying. Very nice and very clean. Staff were really friendly and my overall experience was excellent . Chirping noise from an alarm in hallway, can hear in room. Absence of carpeting is odd in a hotel room! Toilet paper holder is coming out of the wall. Identical paintings on two walls in room is bizarre. This hotel could use a little more thought. Spent a few nights here. Hotel needs a renovation, musty smell and overall appearance issues. So you're considering a getaway to Gaylesville? If you want a place to call home that's located near some well-known Gaylesville attractions such as Weiss Lake, just go to Orbitz, choose your travel dates, and voilà! Review the list of hotels and other accommodations to find those that are located near everything you want to see. There are 88 accommodations to choose from within the larger area if you can't find a place you want to stay in the heart of Gaylesville. Search by filters such as price, neighborhood, guest rating, or popular locations, depending on what's most important to you. 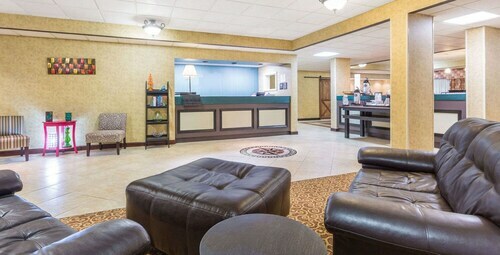 There may be just a few hotels and accommodations to choose from in Gaylesville, but here some other options located close by so you have some choices. What's the Weather Like in Gaylesville? We have stayed here several times when visiting Rome. It is a beautifully refitted former factory that is now a boutique hotel. It is centrally located and you can walk over to Broad Street, the parks, and river. If you are guests you can borrow cute bikes and helmets to see the area. Free and ample parking in the back.